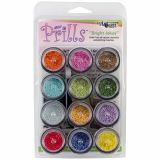 Mini Prills Collection 3g 12/Pkg - US ARTQUEST-Prills Bright Ideas Collection. The small, round, pearl-like, holeless bead accents are for all arts and crafts! Adhere them using any clear-drying adhesive or sprinkle them onto pastes and cements. 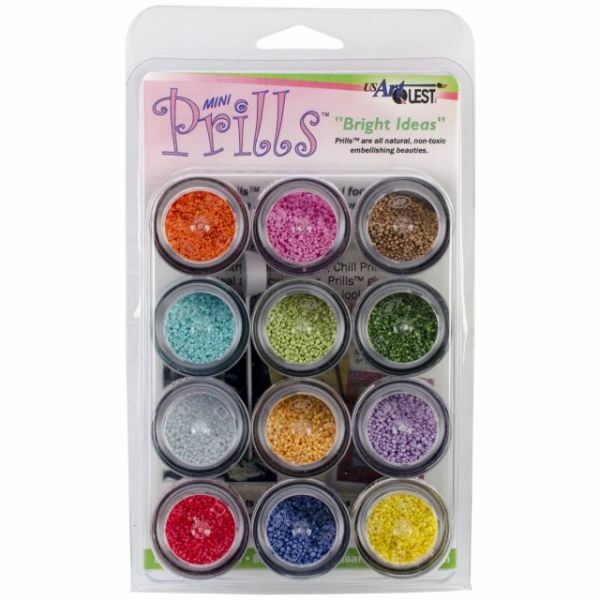 This package contains twelve 3g jars of mini prills in twelve different colors. Heat resistant, acid free and non-toxic. Made in USA.